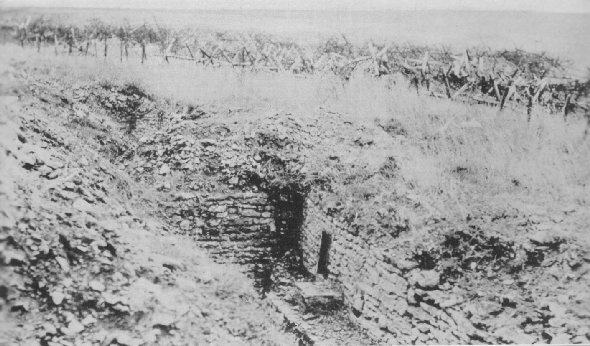 The sudden onrush of the 90th Div., on the morning of Sept. 12 took this well-constructed trench, north of the village of Fey-en-Haye, which the Germans had held since 1914. Photograph was made after the dead had been removed. 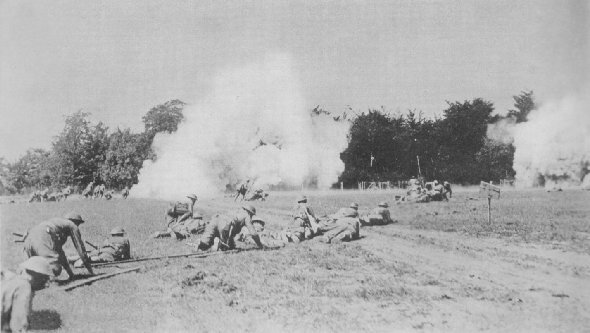 Like great flies slowly working their way across a sheet of Tanglefoot, these men of Companies M and K, 326th Infantry, 82nd Division, advance on enemy positions through the gas-laden air, cutting loose with hand grenades.